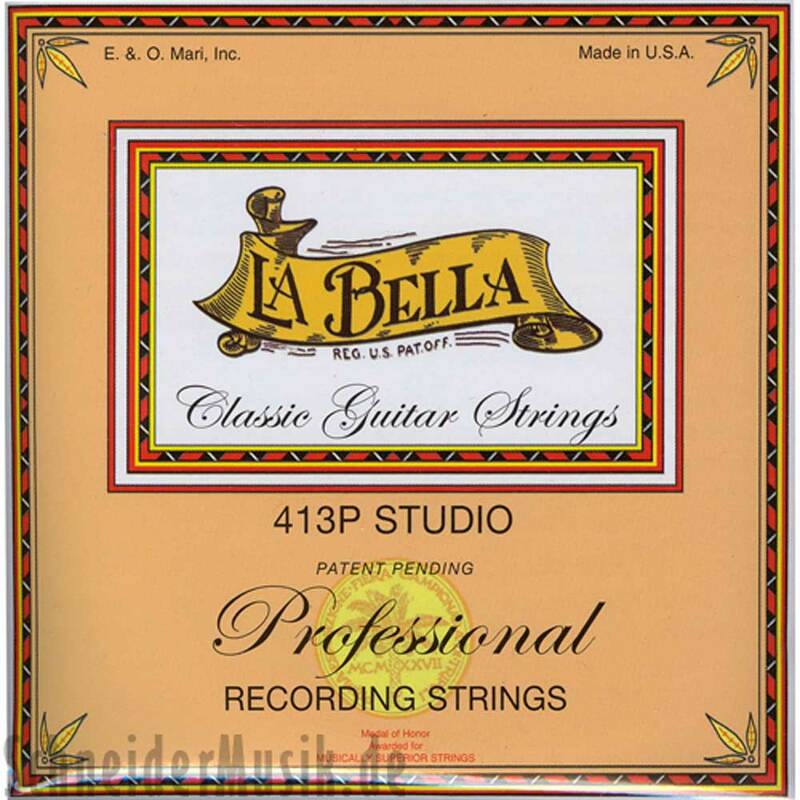 The413P Studiostring set is a perfect choice of artist'sfor both concert performances and studio recordings. The world's first noise freeclassical guitar strings. A unique design, the 413P Studio has high-density nylon trebles and polished wound basses. The stone grinding process helps eliminate the harsh squeaking when shifting positions or playing a glissando. La Bella - nothing sounds better! These strings are the perfect choice of artist's for both concert performances and studio recordings. La Bella - nothing sounds better!